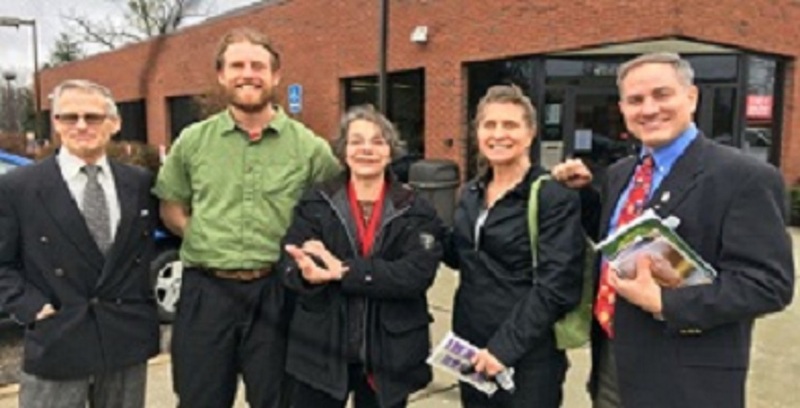 Pro-life activist Monica Miller, PhD (third from left in the photo), was recently released from jail for participating in the Red Rose Rescue, a new method of rescuing preterm babies. Mary Wagner of Toronto, Canada inspired American pro-lifers to enter an abortion mill and offer red roses to mothers in the waiting room. Police arrested Monica Migliorino Miller, Will Goodman, Matthew Connolly, Patrice Woodworth and Robert “Doc” Kovaly after they refused to leave the abortion mill on December 2, 2017. Dr. Miller described her court case and subsequent efforts to help mothers at an abortion mill in Michigan.